Go to our Facebook page, like it, post your pictures and then our panel of judges will decide on the coolest picture at the end of February. How we’re going to judge, we have no idea! The amazing pictures we’re seeing already are inspiring and very creative. All the kids love their cubbies and spend hours and hours on them, playing to their heart’s content. 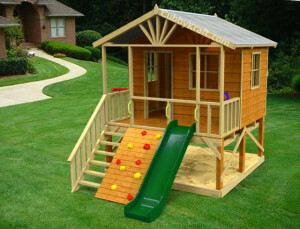 We’re running this competition as a big thank you to all our clients who’ve bought wooden cubby houses from us! No catches, just a picture on our Facebook wall. Get snapping and posting those pictures so we can see who will be $500 richer. 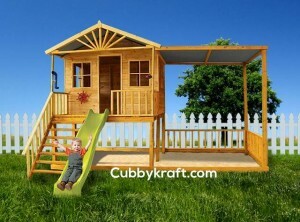 So, your cubby house could win you $500 in cash! If you don’t have a cubby house yet, don’t worry as you’ve still got time. Our competition only closes at the end of February, which means you can also take advantage of our great special offers we’re running at the moment. The cubby houses are easy to put up as they come with cubby house plans. They are delivered in pre-cut kits and instructions that are so easy to follow; they’re probably easier than following Lego instructions! 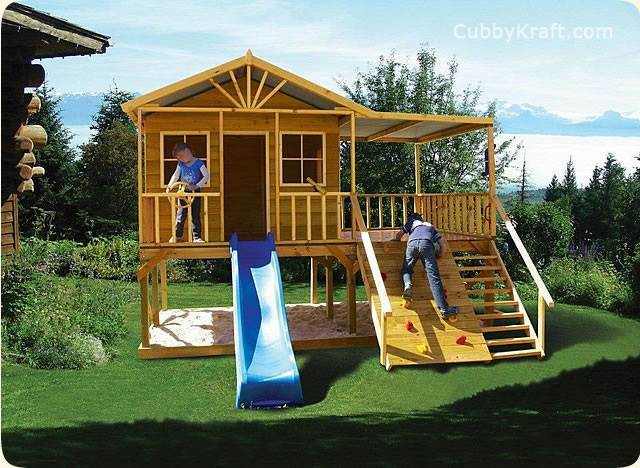 We’re currently running a special where for any cubby house you purchase that is valued at over $2,000 you’ll get free freight, which can work out to be a massive saving. So not only could you get a bargain on a cubby house, you could also be $500 richer! Visit our website to see all the great cubby houses we’ve got, but here are just a few to whet your appetite to see what’s on offer! So head on over to our website to choose a new cubby house or visit our Facebook page to enter our competition to win $500 in cash!